The 3rd Annual Spice up Spring Pueblo Chile Recipe Competition took place at a variety of local restaurants across Pueblo last Thursday, May 3rd. 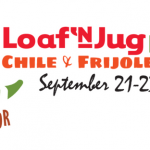 Judging was nearly impossible this year as contestants presented their most unique and delicious recipes infused with Certified Pueblo Chile. Entrants prepared a dish for three categories: best appetizer, entrée, and dessert. 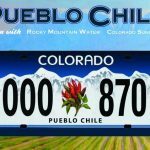 The Certified Pueblo Chile was on full display at the annual Colorado Ag Day at the State Capitol! Thank you to Children’s Hospital Colorado Head Chef John Krause for bringing this dish together and representing Pueblo! The Pueblo Chile is highlighted in #2. 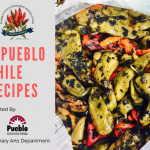 The Visit Pueblo Convention & Visitors Bureau and Greater Pueblo Chamber of Commerce announce that registration for the 3rd Annual Spice Up Spring Pueblo Chile Recipe Competition will be available from March 10th to April 10th. 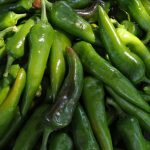 All entrants are required to submit their original Pueblo Chile recipe(s) in writing by April 13th and must agree to the public release of their recipe(s). Judging will be performed during the week of April 23rd – April 27th.